And say to all the world, 'This was a man'." 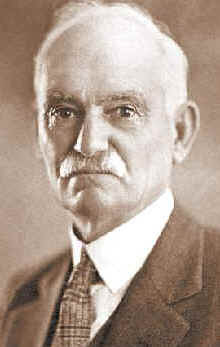 President of the Oklahoma Historical Society, died at his ranch in Delaware County, Oklahoma, Monday, December 10, 1934. His body was brought to his home in Oklahoma City Tuesday, December 11. The casket was placed in the rotunda of the Historical Building where his remains lay in state from 10:00 A. M. to 1:00 P. M. December 12, and were viewed by hundreds of sorrowing friends. The funeral services were held in the First Christian Church at 2:30 P. M., conducted by Reverend J. H. O. Smith. Interment was in the Fairlawn Cemetery. Colcord used his Glenn Pool profits to build Oklahoma's first skyscraper, a 12-story building in Oklahoma City, that he envisioned as a hotel -- and that's what it became 96 years later. When he built the building in 1910, it was the first steel-reinforced building in Oklahoma and was used as an office building until last October when Tulsa developer Paul Coury of Tulsa remodeled it as a boutique hotel similar to his Ambassador Hotel in Tulsa. Colcord wanted the steel reinforcement because he had seen the devastation to buildings in San Francisco following the 1906 earthquake. for photos of the Kentucky area. Colcord bought a team of horses and a wagon for $66 and made the run into Oklahoma Territory April 22, 1889. He traded his horses and wagon for a shack and a lot in Oklahoma City that became Lot 1, Block 1. Colcord served as Oklahoma City's police chief for several years and later was Oklahoma County's first sheriff. He was appointed as a U.S. marshal by President Grover Cleveland. Colcord also made the run into the Cherokee Outlet and staked a claim in Perry where he also built a house. He was involved in the move of the state seal from Guthrie to Oklahoma City in 1910 and served as chairman of the finance committee for building a new capitol on North Lincoln Avenue. Colcord died in 1934 at his ranch in Delaware County near the town of Colcord that was named for him. A 1935 Chronicles of Oklahoma article called Colcord the "First Citizen of Oklahoma." He had served in many civic organizations, including president of the Oklahoma City Chamber of Commerce, and was president of the Oklahoma Historical Society from 1926 until his death. My mother was very beautiful, one of the belles of Kentucky. 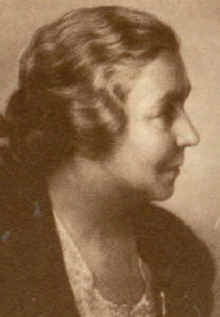 She was Maria E. Clay, the daughter of William Green Clay. There were four children in my mothers family, Thomas E. Clay, Sidney B. Clay, my mother and Mattie (Clay) Donaldson. I went up to Elm Creek to attend a dance given by Mrs. Slack, an elder sister of Harriet Scoresby and fell violently in love with her at first sight and determined to have her for my wife. The second time I met Harriet I was driving a herd of cattle from the range into Kansas. Her father, her uncles and all other members of her family were bitterly opposed to Harriet marrying a wild cowpuncher. I made up my mind all the preachers in Kansas could not stop me. I talked to Harriet's brother-in-law, who lived in Barber County, Kansas and he told me the whole family was opposed to me because people had exaggerated reports about me. I think this brother-in-law did a lot towards breaking down this opposition and Harriet's mother, who was one of the greatest women I ever knew, was favorable toward me from the very start. Also a young brother, O. C. Storesby, who was something of a wild kid himself, seemed to take a liking to me and often helped me out in meeting his sister. Mrs Harriet Scoresby Colcord, widow of the late Charles Colcord, pioneer city builder, died at 7:15 pm Monday in her home, 421 NW 31. She was 86. Her husband, who died in 1934, was prominent in the development of Oklahoma City for 45 years. He built the Colcord building in 1910 and was influential in building the Biltmore hotel and Commerce Exchange buildings. She is survived by four daughters and two sons. Private services are set for 10 am Wednesday in the home. Burial will be in Fairlawn cemetery. Mrs Harriet Scoresby Colcord, 86, widow of the late Charles Colcord, pioneer city builder and capitalist, died at 7:15 pm Monday in her home at 421 NW 30. At her bedside were her six children. She had been in ill health for several years. Mrs Colcord was aboard one of the first trains to roll into Oklahoma City, and, with her husband, her life paralleled that of the city. When her husband first built the 12-story Colcord building at Grand and Robinson he was dubbed "the guy who built a 12-story building in a three-story town." But her husband went ahead to point up the development of the city until his death in 1934, when he left an estate unofficially valued at $1,500,000. Mrs Colcord was the daughter of an English Methodist minister who settled in Kansas. She met Colcord, destined to become one of the most colorful pioneer builders in the southwest, when he was a roving cowboy. She married him over the protest of her family and the couple moved to Arizona. In 1889, her husband made the run to Oklahoma City with a team of horses and a wagon and $66. Two months later Mrs Colcord and her three children arrived by train. Her husband traded the team and wagon for a small shack on lot 1, block 1, in Oklahoma City. It was near the present site of the Santa Fe railroad depot. Later, with her husband, then a peace officer whose sole income was $1 for every arrest he made, she moved to a small yellow house at NW 4 and Broadway, site of the Oklahoma Publishing Co. In 1900, the couple built their present home at 421 NW 31, a showplace in the raw frontier town. said, would promote the development of downtown Oklahoma City. Throughout her life, Mrs Colcord had little time to devote to women's clubs. "I'm too busy raising six children," she was quoted as saying in 1939 when her pioneer experiences were commemorated in Oklahoma City's golden anniversary celebrations. She was, however, one of the founders of the First Families of Oklahoma and later served as its president. She was also a member of the '89ers. In 1930, the state '89ers association held a New Year day open house in Mrs Colcord's home. Private funeral services will be at 10 am Wednesday in the family home. Burial will be in Fairlwan cemetery under the direction of Street & Draper funeral home. A call to the Fairlawn Cemetery office August 2, 2007, reveals that Charles and his wife Harriett were both buried there. [405-524-2559] I have searched all online links to Fairlawn Cemetery and found no listing of their names &or photos of their stones. 1Colcord, Charles Francis. The Autobiography of Charles Francis Colcord. C.C. Helmerich (privately printed), 1970. Library of Congress No. 73-140435. 2Scoresby Sound, arm of the Greenland Sea, E Greenland. It has numerous fords that branch out generally westward to the ice cap. Some of the branches extend more than 180 mi (290 km) inland. At its mouth is the settlement of Scoresbysund (1995 pop. 483), the center of the district of Scoresbysund. The town is a fishing and hunting base. "Scoresby Sound." The Columbia Electronic Encyclopedia. © 1994, 2000-2006, on Fact Monster. © 2000–2007 Pearson Education, publishing as Fact Monster. [NOTES: Mariah Louisa "Birdie" Colcord, sister of Charles Francis Colcord, believed born 24 Jan 1863 at Savannah Georgia, died in San Diego county California on or about the 15th of June, 1945. Contributed by Marti Graham, August 2007. Information posted for educational purposes for viewers and researchers. The contributor is not related to nor researching any of the above.